Skin, body’s largest organ, is a natural protector against toxic substances, dehydration, infection and ultraviolet light. Skin health is reflective of overall health status of pets. Healthy skin is flexible, without scabs, white flakes or any red areas. Skin of dogs and cats is sensitive and is vulnerable to multiple infections. What are the important nutrients for good skin health in pets? Good nutrition can have a positive effect on an animal’s skin and coat. Proteins, fats, vitamins and minerals are important nutrients required for healthy skin and coat in dogs and cats. Essential fatty acids (EFAs) play a major role in the maintenance of healthy coat and skin of dogs and cats, and are called essential fatty acids as they cannot be synthesised in the body. Thus, EFAs must be obtained through diet or supplementation. What causes dull skin and poor coat in pets? Deficiency of nutrients especially fatty acids, vitamins and minerals causes dullness in skin and loss of shine in the coat of pets. What are the two important EFAs for pets? The two most important EFAs commonly required by pets are Omega 3 and Omega 6. Omega 3 fatty acids include EPA (Eicosapentaenoic Acid) and DHA (Docohexaenoic Acid), and Omega 6 fatty acids include Linoleic Acid (LA) and Gamma Linolenic Acid (GLA). What is the role of Omega 3 and Omega 6 fatty acids in pets? Omega 3 fatty acids are necessary structural components of cell membranes and maintain cell membrane permeability, thereby protecting loss of nutrients and entry of infectious agents into the skin. Omega 6 fatty acids help in maintaining skin and coat in good condition. Omega 3 and 6 fatty acids are precursors for eicosanoids, such as prostaglandins that prevent inflammation. Omega 3 and 6 fatty acids regulate epidermal (outer most layer of skin) proliferation, thus promotes keratinisation leading to rapid wound healing. What are the common conditions in pets where fatty acid supplementation is required? Omega 3 fatty acids supplementation is important in pets suffering with allergic dermatitis, poor immune system, and inflammatory disorders like arthritis, etc. Omega 6 fatty acids help in maintaining the integrity of skin and are responsible for the lusture and sheen in the healthy hair coat. What is the role of vitamins and minerals in pet skin health? Vitamins and minerals are important in maintaining various metabolic pathways in the body and healthy skin in pets. Deficiency or excess of either leads to skin problems. Vitamin A is involved in the regulation of cellular growth and differentiation and is important in keratinisation process and either excess or deficiency leads to hyperkeratinisation, scaly skin, loss of hair, and increased susceptibility to microbial infections in pets. Vitamin E as it is involved in fatty acid utilisation. Zinc and Selenium are two important minerals that promote wound healing and act as antioxidants respectively. (Dr Ritesh Sood is Product Manager, Animal Health Division, The Himalaya Drug Company, Bengaluru). Blood transfusion has always been an emergency and a life saving procedure in veterinary practice. Lack of blood typing kits, blood collection bags, storage equipments and donors in crisis continue to be a constraint for the needy animals. Jeevashram has established a dog blood bank, which would be instrumental in saving the lives of pets. Dr Vinod Sharma answers a few FAQs pet parents have on the subject of blood donation. Q: How do I know if my dog is eligible for blood donation? Should be 1 to 8 years old. Should weigh a minimum 20 kg. Should have been vaccinated and dewormed periodically. If female, then should not be pregnant or delivered pups. Should not have donated blood within 9 weeks. Should be free from infectious and haemoprotozoan diseases. Should not have received blood earlier. Q: How is the blood taken from my dog? A: For friendly, cooperative dogs, no sedation is required for blood collection. The dog is made to lie down in lateral side and a small area on the neck is clipped and blood is collected from the jugular vein. If your dog is unco-operative or restless, then blood collection will be done under sedation, in that case your pet should be brought on an empty stomach. Q: How much blood will be collected from my dog? A: Around 300-400 ml of whole blood can be collected depending on the donor’s body weight. Q: Will my pet be unwell after blood donation? A: The blood collection will cause no harm to your pet. If your dog is sedated, then he will take some time for recovery, intravenous fluids are given after the collection to compensate the volume loss. Q: Are there blood groups for dogs like humans? A: Yes there are more than eight blood groups out of which DEA1:1 type is most significant for blood transfusion. If your dog is DEA1:1 negative, then the blood can be donated to any other dog. Q: My dog is a German Shepherd, will his blood be useful for other breeds? A: Dog blood groups are not breed specific, any breed can donate blood to any other breeds. Q: Do I have to give any medication for blood production? A: No. The blood will be produced within three weeks naturally. Q: Will proper disposables be used for blood collection? A: The blood bags come with an attached needle, hence each bag will be used for each dog after transfusion of the blood, and the bag will be properly disposed. The blood bag cannot be reused. Q: How will my pet’s blood be used? A: Your dog’s blood will be used to save critically ill dog who suffers from anaemia of any cause or blood loss of various reasons or any pre/post surgical management as and when required. Q: How often can my dog donate blood a year? A: Dogs can donate blood every nine to ten weeks but it’s good if we wait for three months. Please donate your dog’s blood to save another dog’s life. (Dr Vinod Sharma, qualified veterinarian from Guru Jambheshwar University and RSPCA (London) runs Jeevashram dog blood bank in New Delhi. He is author of the popular book- Care of Dogs & Cats). Neutering has unquestionable benefits, both in terms of animal behaviour and health. Changes in sexual behaviour: About twice a year, when females come on heat, males and females are strongly attracted to each other and will show great ingenuity in finding ways to get together and mate. This behaviour is highly likely to lead to an unwanted pregnancy. Figures also show increased risk of straying and car traffic accidents at this time. Neutering a female dog stops her having seasons and so rules out the risk of her having a litter. Remember that some dogs can have over 10 puppies. As for castrated males, they will no longer be attracted by surrounding on-heat females and will tend to display less territorial urine marking. Health benefits: Neutering successfully prevents sexual health conditions such as testicular, prostatic or ovarian tumours and ‘false pregnancies’. Neutering female dogs before puberty also prevents the development of mammary tumours, which are fatal in six percent of cases. Neutering therefore has not only preventative, but also curative effects since it is the treatment of choice of some conditions such as pyometra (a uterine infection common in female dogs) and testicular tumours or prostatic hyperplasia (very common in older dogs). Finally, castrating male dogs generally reduce aggression towards other male dogs, reduce urine marking and mounting behaviours, and reduce straying. How do I get my dog neutered? Your vet can advise you on neutering age, the procedure best suited to your dog and appropriate nutrition; please ask your clinic for more information. How are dogs neutered? Neutering/castration is a surgical procedure, carried out under general anaesthesia and aimed at preventing reproduction. It is an irreversible procedure. In males, castration consists of the removal of both testicles while in females, the operation consists of removing the ovaries and uterus (aka ovariohysterectomy). When should my dog be neutered? If your purpose is to avoid reproductive health problems or stop reproductive behaviour, it is best to get your dog neutered relatively early, around the time of puberty. As the age of puberty is highly variable according to the size or the dog, your vet will be able to recommend the best time for the operation. What if your dog refuses to eat? The anaesthetic and the hospitalisation can explain why your dog may not want to eat the next day. In female-dogs, the appetite can be disrupted for 48 hours due to the longer anaesthetic. If you have any concern, do not hesitate to contact your vet. Obesity & regulation of food intake. Neutering can modify the dog’s feeding behaviour by increasing daily food intake. If not prevented, overeating will predispose your dog to obesity (neutered dogs have nearly double the risk of becoming obese compared to the overall canine population). Your vet will advise you on the best diet for your dog and the amounts to feed. Skin and coat supplements for pets are basically essential fatty acids. 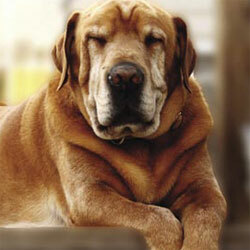 Here are a few FAQs on what these supplements are and how are they beneficial to the pets. Q: Are skin and coat supplements essential for pets? A: Pets may require certain nutrients that help in maintenance of healthy skin and coat. Moreover, some pets may need more supplements of nutrients than other dogs. Usually, most of the skin and coat supplements contain essential fatty acids, vitamins and minerals to support and maintain a shiny coat and healthy skin. A: Essential fatty acids are types of polyunsaturated fats that cannot be produced within the body of pets. Therefore, they must be obtained through their diets or supplements. However, the essential fatty acid, which is essential for one species of animal, may not necessarily be essential for another. For example, one of the fatty acids, arachidonic acid is essential for cats but not for dogs. Q: Which essential fatty acids are necessary for skin and coat health? A: The two main classes of essential fatty acids necessary for maintaining the skin and coat condition are the Omega-3s and the Omega-6s. Q: What are the sources of essential fatty acids? A: Essential fatty acids may be found in many plants and cold-water fish with varying quantities of Omega 6 and Omega 3. Fish oils are good sources of Omega 3 (Eicosapentaenoic acid and Docosahexanoic acid) while certain plants and grains may also contain essential fatty acids like sunflower oil and safflower oil contain high quantity of Omega 6 (Linoleic acid). Q: What is an appropriate ratio of Omega-6 to Omega-3 fatty acids in the diet? A: It is difficult to say the exact ratio of Omega 6 and Omega 3 as there may be variation related to the individual pets. Based on the research report, the current recommendations of Omega-6 to Omega-3 fatty acids are for ratios of 10:1 to 5:1 in the daily diet. Maintaining a proper ratio of Omega 6 fatty acid and Omega 3 fatty acid is very crucial as they share a common enzyme. Otherwise, improper ratio of these fatty acids may enhance itching, oozing and swelling instead of reducing them. Q: How do fatty acids help in reducing inflammation? A: Essential fatty acids are naturally found in the cell membranes. When a cell is damaged there is release of inflammatory agents that can cause inflammation and itching. Essential fatty acids help to reduce the harmful effects of these inflammatory agents, thus reducing the inflammation and itching. Q: How long fatty acid supplements are to be given? A: Essential fatty acids supplementation may take a minimum period of 3-4 weeks and as long as 12 weeks to elicit the beneficial effects. Q: Can essential fatty acid supplements be given with other medications? A: Even though there is very low risk of incompatibility between essential fatty acid supplementation with other medications, it is always advised to consult your veterinarian first. Depending on the condition of your pet and the type of medication, veterinarian can tell you whether to give essential fatty acid supplements along with other medications or not. Q: Are there any side effects from essential fatty acid supplements? A: The side effects are very less or negligible. They may cause loose stool when used in high doses. If that occurs, stop and start again with a very low dose and gradually increase the dose so that your pet will get used to it. Q: Are there any other indications for supplemental fatty acids? A: Fatty acids are necessary for the normal function of many systems of the body and not all fatty acids have the same function. Because different fatty acids have different effects, the choice of a fatty acid supplement needs to be based on the specific condition we are trying to manage. In addition to improving skin and coat health, many scientific articles reported the beneficial effects of fatty acid supplementation in different conditions such as allergies, autoimmune conditions, arthritis, inflammatory conditions of kidney and intestine, yeast infections, eye disorders, heart diseases, epilepsy and cancer. (The authors belong to Product Management Team, PetCare). Ear infection is one of the most common infections in dogs and is a matter of concern for all pet parents. Here are some of the common queries about this disease. Q: What are the common ear infections in dogs? Q: Which breeds are more prone to ear infections? A: Ear infections can be commonly found in breeds like Cocker Spaniel, Poodle and German Shepherd. A: It may occur all round the year but are more common in humid seasons. Many a times, dogs show signs of infection after a bath or after getting soaked in the rain. Q: What are the causative factors? A: Ear infections are caused by a variety of bacteria and/or fungi. Infestation of ear canal with ticks or mites may also lead to infections. Foreign bodies or tumors or hardened earwax may also cause ear infections. Allergy is another important factor. Q: How can an infected dog be recognized? A: Discomfort is the first symptom. When the infection is severe, the dog shakes his head strongly and tries to scratch his ears with paws. The inside of his ear often becomes red and infl amed and sometimes a black or yellowish liquid may also ooze out of the ears. An offensive odour may be smelt as well and the dog keeps on whining in pain. Q: What to do in such cases? A: As soon as you notice these symptoms, consult your vet immediately. He will give some tablets to reduce the pain. Rush him to the vet as early as possible and get him treated. Q: What are the treatments for ear infections? A: To treat ear infections effectively, fi rst the causative factor has to be identifi ed. The ear canal has to be examined thoroughly, preferably with an Otoscope to rule out the presence of foreign bodies or ticks inside. Bacterial or fungal infections have to be treated with suitable antimicrobials. To choose the right medication, it is better to examine a sample of the secretions from ear canal by doing culture and sensitivity test. As per your vet’s advice, the dog has to be dosed with tablets and/or eardrops. Sometimes antiseptic lotions may have to be applied inside the ear. In some complicated cases, maggots may develop inside the ear canal. Such dogs have to be sedated and treated fi rst for the maggots and then for the ear infection. Another important part of the treatment is the identifi cation of underlying disease. For example, if it is due to allergy or low thyroid function, it has to be diagnosed and treated. If this is not done, the dog may respond temporarily to treatment but the infection will relapse later. Q: How far the treatment will be effective? A: Ear infections will subside completely, when detected early and treated promptly. But in some dogs, they tend to recur. As said earlier, this may be due to an underlying disease, which also needs to be tackled along with the primary treatment. Besides, when the dog is not much co-operative to treatment, ear problems may recur frequently. Q: How to prevent ear infections? A : The golden adage “prevention is better than cure” holds good here also. Preventive measures include regular cleaning of the ear has to be practiced since puppyhood. The ears have to be cleaned once or twice a week preferably with dry cotton using fingers. Never use ear buds because they may push the wax deep inside the ear. If the earwax is hard, it may be softened using some medication as per your vet’s advice. While giving bath, always take care that water never enters the ear canal. Use cotton swabs inside your dog’s ears before giving him a bath and remember to promptly remove them afterwards. Do not allow your dog to get soaked in rain or under a tap. Please keep in mind, HEALTHY EARS MEANS BETTER LIFE.